Not all home changes need to be large, drastic, and expensive endeavors. There are small and inexpensive design changes that you can do to improve your home. Designing smart and saving will help your budget in the long run. Our website houses several specials on flooring. No matter your budget, you can afford to change up a few things in your home. Small changes that enhance your look or that draw your eye to it. Opening a room up can be as simple as rearranging furniture. Consider some DIY projects to create some decorations for your home to give it a new spark. There are plenty of ideas on our Pinterest page to give you some inspiration! Switching out the carpet in one room of your home can make your whole home have a different atmosphere. Switching an old carpet out can improve the overall feel of the home, especially if the carpet is old and deteriorated. You don’t need a brand-new carpet either, consider getting a nice pad underneath the carpet and get a cheaper brand of carpet. You save money and still get plenty of comfort! If your bathroom feels dated, simply putting in a different tile can enhance the space from outdated to stunning! Upgrading your bathroom tile is also inexpensive because the space is small and does not require much tile. Your bathroom creates a mood for the house of relaxation and comfort, updating the tile will give your bathroom the extra push to comfort. Thinking about adding in new flooring, but everything seems expensive? Check out our specials page on our website to find the newest deals on a variety of flooring options. Carpetland USA has several affordable options that will place your home above the rest! 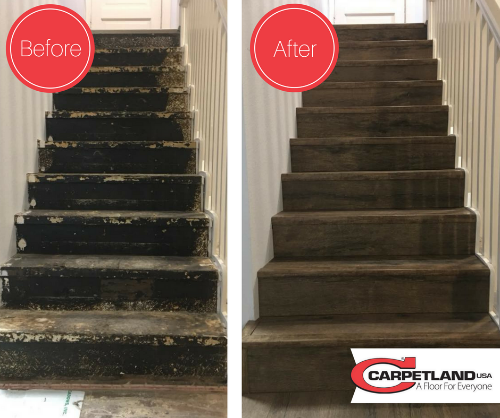 Come see us for your carpeting and flooring needs, and don’t forget to check out our Pinterest page for more home inspiration!